Cal J. Halvorsen is an assistant professor at the Boston College School of Social Work and the former director of research Encore.org, a national nonprofit dedicated to engaging people in midlife and beyond in work that improves the world. Cal returned to school for his PhD in social work in 2014, graduating from the Brown School at Washington University in St. Louis in May 2018. His work examines aging societies and the need and desire for people past midlife to work past traditional retirement age, with particular emphasis on self-employment, entrepreneurship, social entrepreneurship, and encore careers. Cal’s dissertation research, which looked at the characteristics of self-employed Americans in later life and the personal consequences of this work, was funded by the U.S. Social Security Administration. 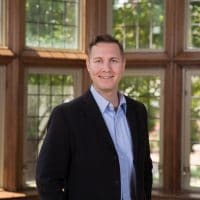 He also earned Washington University’s Entrepreneurship Citation and taught courses related to aging societies and social work practice at both the undergraduate and graduate levels. While at the Brown School, Cal served as an ambassador for the Gerontological Society of America to the Symposium for Healthy Aging in Suzhou, China, and during his time at Encore.org, Cal was invited to present at the University of Oxford in the U.K., as well as the Körber Foundation and EBS Universität in Germany. Cal received his Master of Social Work degree from Washington University in St. Louis and his Bachelor of Arts in International Studies, with honors, from the University of Iowa.